Our hotel’s 154 bungalows are in perfect harmony with the lovely environment around them. They are elegant, private and extraordinarily comfortable for a unique stay in their 47 m². 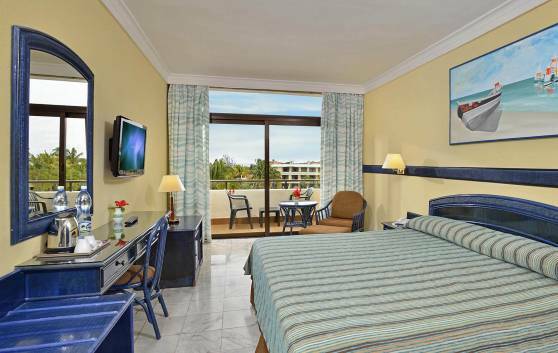 Our 324 Standard Rooms (29 m²) are very comfortable, spacious and functional. 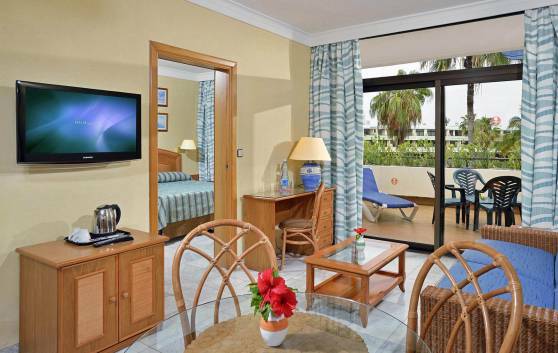 Provided with balcony or terrace offering fantastic views of the garden, swimming pool or southern sea. Located on the top floor of the hotel, with beautiful views. You can enjoy the modern comfort of these rooms, measuring 29 m2 and noted for their minimalist design in harmony with its surroundings. 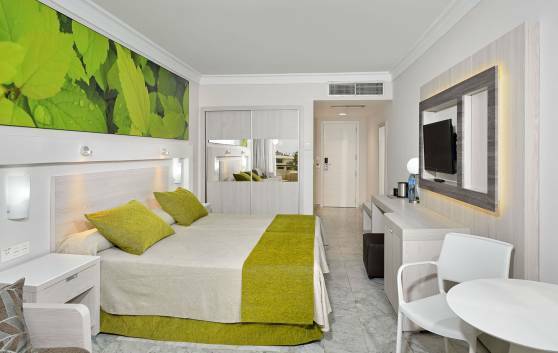 Our 16 Junior Suites (63 m²) are ideal in a destination that offers travelers the best all year round. Elegant, beautiful and comfortable. Privacy and tranquility guaranteed. 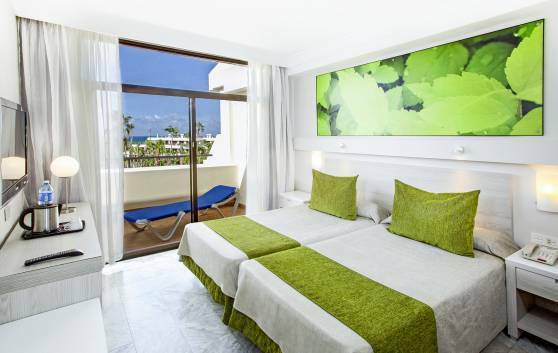 Designed for modern comfort, these rooms, measuring 63 m2 and including a lounge with sofabed and a bedroom, have beautiful views from the spacious terrace. Renowned for their minimalist design; an ideal space for families. 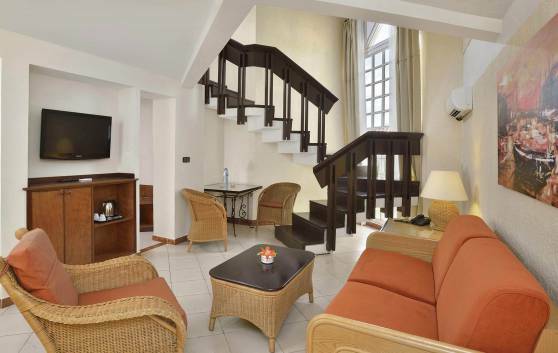 Our four suites are renowned for their unique comfort and elegance. Surrounded by sparkling beaches and exuberant vegetation where beauty and privacy reign. Ideal for families. 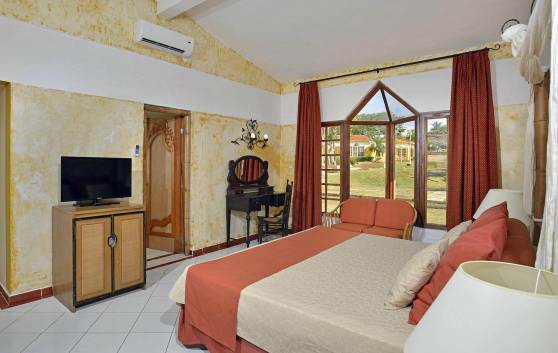 Our 22 Bungalow Suites are ideal for love. Spacious 47 (m²), inviting and flooded with color and light. 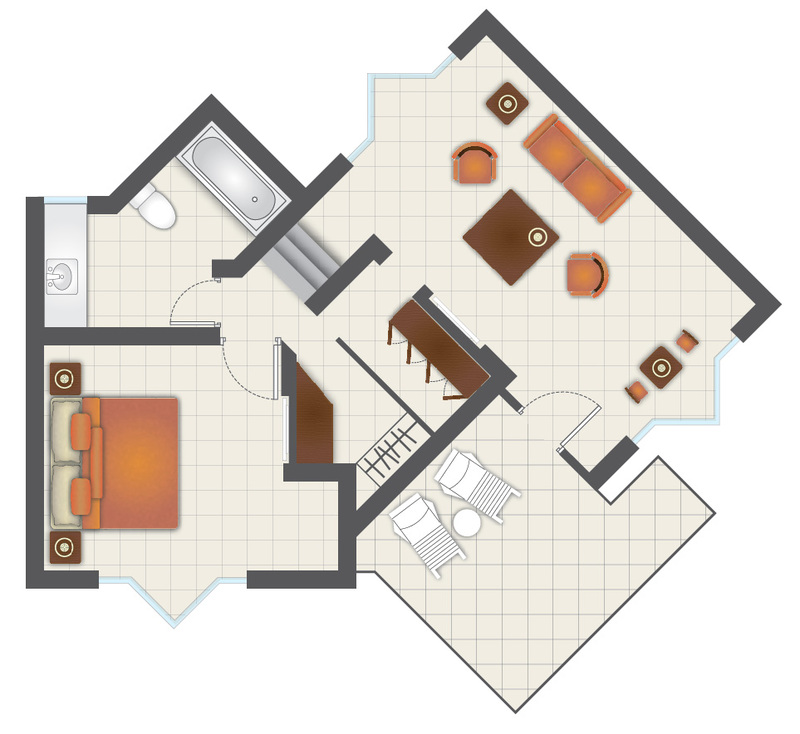 Each detail of our Bungalow Familiar (83 m²) has been carefully conceived. 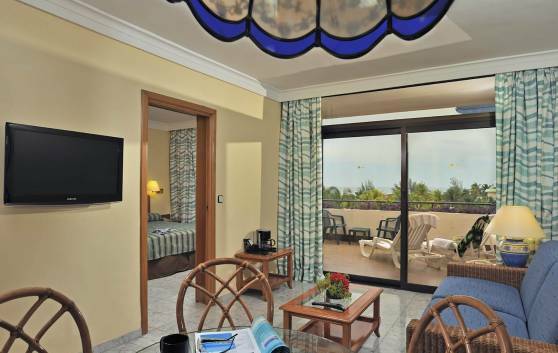 Total privacy, ultimate comfort and beautiful décor in harmony with the tropical surroundings. Ideal for families.